Merchandise with the new logo includes shirts, mugs, polos, socks and hats. ORACLE PHOTO/LEDA ALVIM. 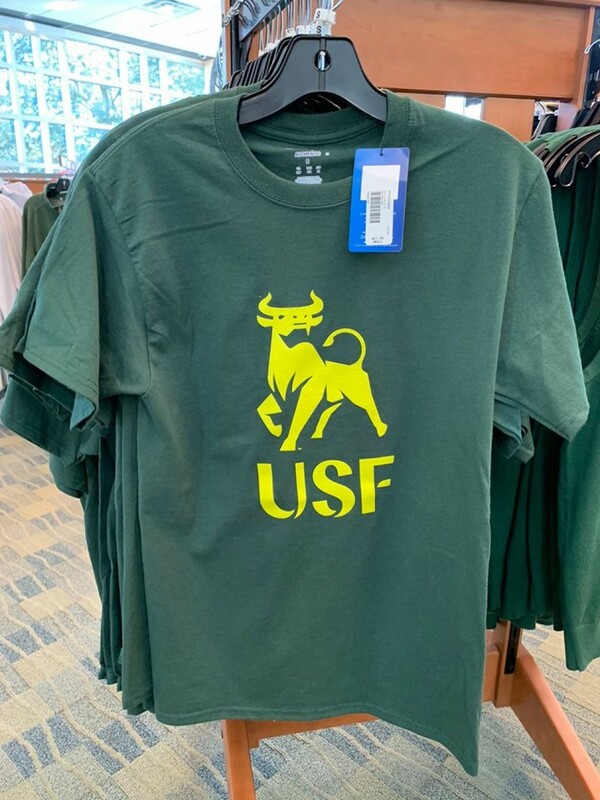 Despite mixed reviews of the university's new academic logo, the USF Bookstore has added new merchandise with an ambition to sell out. According to bookstore director Nando Padula, not all apparel will be replaced with the new logo. Only a select few items will have the academic logo printed, including shirts, mugs, polos, socks and hats. Last semester, the bookstore sold out of the merchandise with the new logo design. At the end of December, new products ranging from $14 to $84 were reordered and delivered. On average, 144 pieces of each item, including hats, shirts, and polos were ordered to see how they would sell. After they sell out, the bookstore reorders. According to Padula, the bookstore’s vendors design the products and send them to USF for approval. If the product doesn’t represent the university’s image well, then it is discontinued through IMG, USF’s license company. 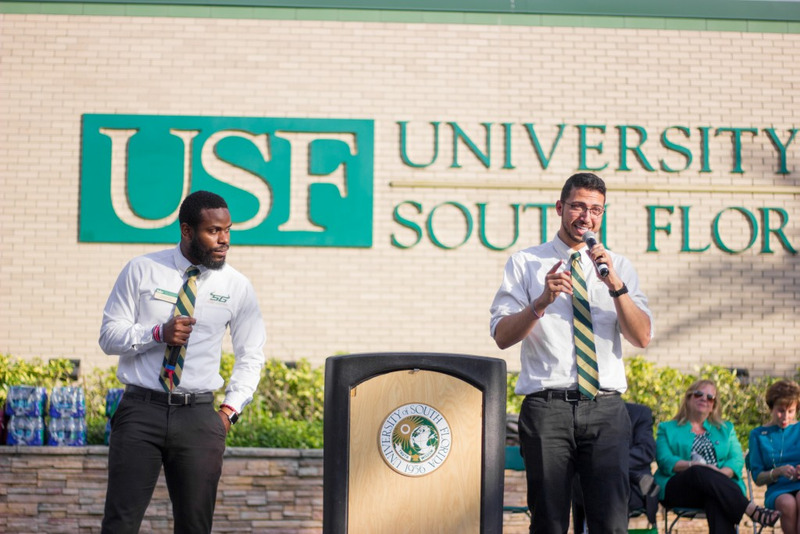 Once approved, it can take anywhere from two to six weeks to have items shipped to USF, depending on the type of merchandise. New products are expected to arrive in the near future, such as keychains and car emblems. However, there is no estimation of when such products will be available for purchase.